The Seaside School Half Marathon & 5K Run is only days away and the whole town is a-buzz counting down. Before you know it thousands of runners from around the world will be joining us for a fun weekend-long extravaganza here in Seaside. So many people and businesses have come together to make this world-class charity event possible. For the past few months we’ve been taking time to publicly thank our valued sponsors here on our blog. Today we are thanking two of our sponsors… and neighbors! Duckies Shop of Fun and Mercantile are not only our neighbors here in Seaside, they are actually neighbors of each other. Located in the heart of town on Central Square these two distinctive shops are owned by locals Bryan & Stacy Pritchett. Although they are in nearly identical locations and are held by the same family, they are completely different stores and if you are not already familiar with them, now’s the time to plan your visit. 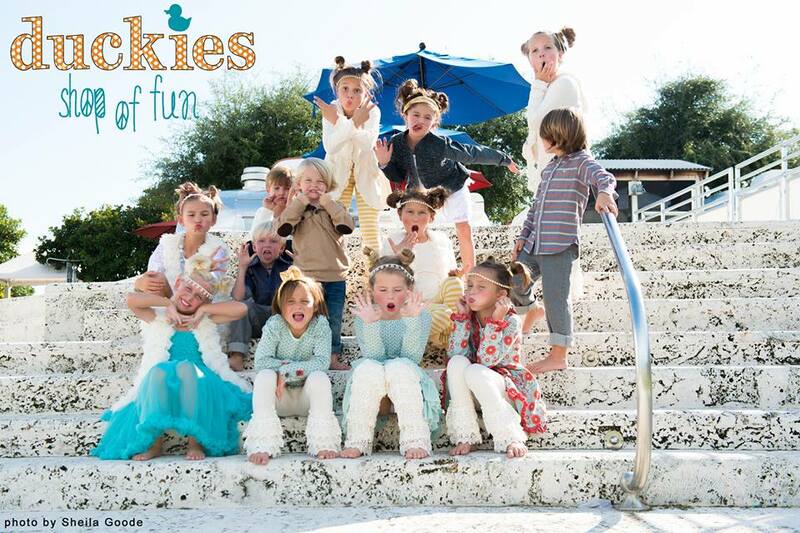 The ultimate South Walton shop of fun, Duckies is a whimsical world that carries toys, kids’ clothing and just plain silly stuff. Guests are “wowed” as they enter and everyone always has a smile on their face. Jam packed full of fun, kids and the young at heart take delight in watching toys spin and parachute themselves from shelves. Duckies is a must-visit for all and an excellent place to get lost in the moment. Steps away is a store with the motto “Dress Well – Live Well – Give Well” -of course we’re talking about Mercantile. The coast of Northwest Florida is home to wide assortment of trendy boutiques, but as Bryan & Stacy dreamed up their second shop in Seaside, they realized they wanted to create a “place to get neutral-colored wearables and gifts that were well-worn, distressed, vintage-inspired – and even a bit western.” Further explaining their inspiration, “We drew on our Texas roots, love for antiques, appreciation for goods that were imperfect and started brainstorming. We took a road trip through the Lone Star State combing antique stores, mom and pops, restaurants and other places that inspired us. “ The result of their hard-work is one of the Emerald Coast’s most unique boutiques. At Mercantile you’ll find that they carry as much made in the USA, eco-friendly, and cause related items as possible. They also support local designers and operate their business under the Golden Rule, treat others as we would like to be treated. Not only do we want to take time to thank our sponsors, we want to thank everyone in the community that has helped us grow our little race over the years. Thanks to the great community support this year, our weekend of festivities has grown even a little more. Taste of the Race is a brand new stand-alone event that will take place on February 27th, the Friday before the race. Presented by Emeril’s Florida, Chef Emeril Lagasse, and the local TDC (South Walton) – this festive culinary celebration will host delectable dishes from 20 of the Top Chefs. Hosted under climate controlled tents on the Seaside Lyceum and live music performed by Trick Pony, this party is sure to become one of the most talked about events in South Walton. There are only a few tickets left, so if you are thinking about joining us now is the time to buy. We hope to see you there! To purchase tickets to “Taste of the Race,” please visit http://www.tasteoftherace.eventbrite.com. This event will sell out, so plan ahead and purchase tickets today.